Port of Newcastle has marked an important milestone in the development of the Newcastle Bulk Terminal. The dismantling of the old ship unloaders is now complete, with bulk cargo hoppers now in place to provide continuity of trade while the new ship unloader and conveyor system is constructed. The old ship unloaders at the Kooragang 2 berth have been a feature of the Walsh Point precinct since 1968. The two rail mounted ship unloaders were established at what was then known as 'Rotten Row' to handle dry bulk products including fertiliser, rock phosphatic, ores and meals. 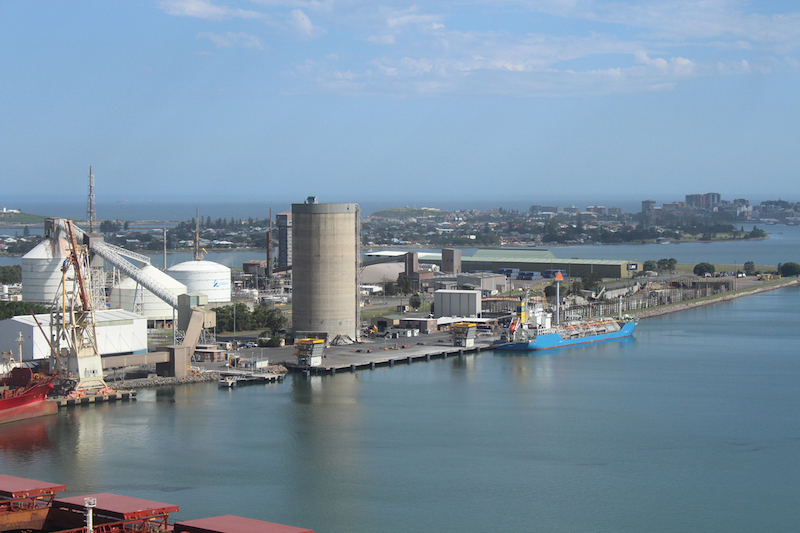 Kooragang 2 and 3 berths remain the busiest and most diverse common user berths in the port, continuing to handle a diverse range of dry bulk and liquid bulk commodities. In June 2018, Port of Newcastle announced it was investing $33 million into a new ship unloader, including state-of-the-art crane, conveyor infrastructure and an electrical substation incorporating the latest in safety and environmental compliance features. Port of Newcastle's Executive Manager Marine & Operations, Keith Wilks, said the replacement of the old ship unloaders was driven by the Port's strong commitment to working with its customers and anticipating their future needs. "Our customers have requested more capacity to grow their cargo volumes and the new unloader will have a capacity of 1,000 tonne per hour, a significant increase from the current average rates of 230 tonnes per hour. "We have also implemented a new service model to improve environmental performance and ensure regulatory compliance. Our approach is to embed a more consistent, streamlined approach to environmental performance at the Terminal, whilst at the same time driving efficiency and maximising trade growth," Keith said. The Port of Newcastle's principle contractor Kerman Contracting will deliver the overall project with design and construction of the new crane unloader by their partner Tenova Takraf. The new crane unloader will be constructed in Vietnam and is due to arrive in the Port in early 2020.